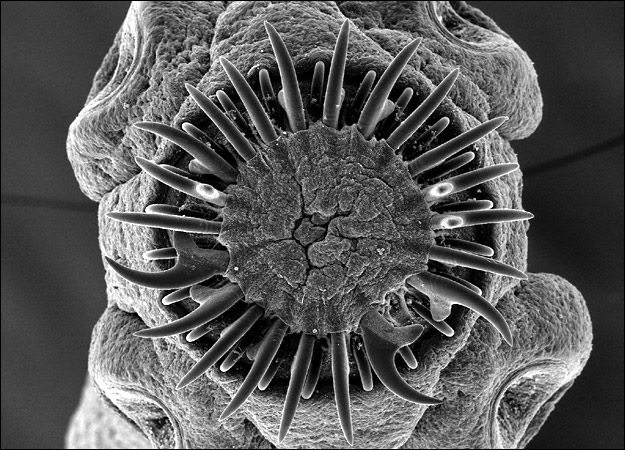 The mouth of the adult pork tapeworm, Taenia solium. 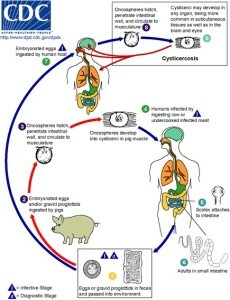 The tapeworm typically lives in the intestines of pigs but may infect those that eat undercooked pork. The larva produced by the adult worm are passed in the feces and may go on to infect the organs and tissues of humans. Image: Dennis Kunkel Microscopy, Inc. The team of doctors at Addenbrookes Hospital at Cambridge, 4 years before that, had a patient – a man with first experienced symptoms, such as headaches. But after a short period of time the patient returned. This patient, a Chinese descent who had recently visited China, which along with Thailand,Japan and South Korea, had most of the regular occurrences of the parasite known as Spirometra erinaceieuropaei. 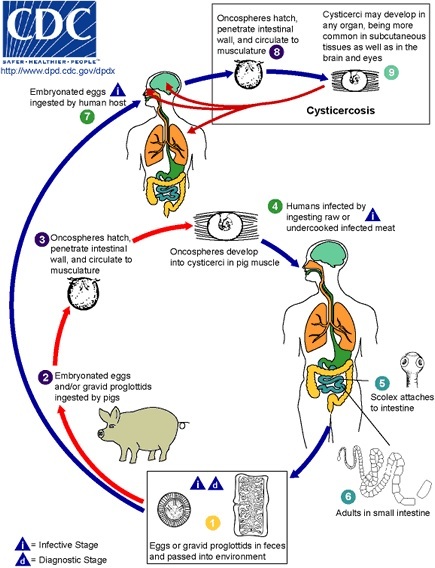 The first form of infection – is by consuming…pork from infected pigs, resulting in taeniasis – an adult worm residing in the intestine. You should also start believing the writings of the Inspired Disciples of Yahshua and Yahshua. They all taught and practiced the Righteousness of Yahweh. They did not change anything written by Yahweh’s Prophets, nor did they teach against Yahweh’s Laws. Notice, their Instruction for Salvation concerning the eating of unclean animals and coming out from among the unclean, sin and plagues.